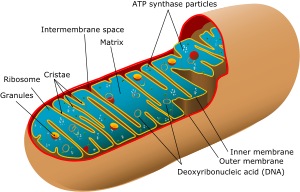 Hidden deep inside your body’s cells are tiny little energy-producing membrane structures called mitochondria. This is your body’s primary energy system and it provides 95% of the cellular energy that powers ALL living functions. – How long you live. That’s right. A growing number of scientists and cell biologists are now saying mitochondria can even control life span. So adequate mitochondrial function is how you can keep your body looking younger and potentially live a longer life. However, EVERY day when we wake up and live life, we’re damaging our mitochondrial DNA without even realizing it. All these things contribute to destroying our mitochondria. …If you can learn how to consistently STOP the damage and deterioration of these little buggers you’ll live longer, look younger, have more energy and burn way more fat. 1) Controlling insulin levels with proper food choices and combinations. 2) Taking care of your digestive health because it controls 80% of your immune system and helps prevent mitochondrial damage. Tip: Get adequate amount of “good” bacteria in your diet. Raw sauerkraut, kefir, and raw cheese are 3 great sources. Although research now indicates this is simply not enough. That’s why Karen and I use this product to control the bugs in our guts and ultimately burn fat efficiently. 3) Making sure you’re not exercising TOO MUCH because it can age you FASTER and release excessive amounts of cortisol, which stops fat-loss. Tip: Avoid overtraining. STOP doing long duration-excessive cardio workouts, stretch and stay adequately hydrated. All of these things will help you recover faster and prevent the cellular damage that can age you faster and block fat-burning. I know it’s just human nature. We THINK more is better. This short article below explains the DANGERS of too much exercise and uncovers how it can age you faster. Enjoy your Saturday and talk soon!